Your little one’s skin is suddenly red and blotchy. You think it’s probably a rash, but where did it come from? 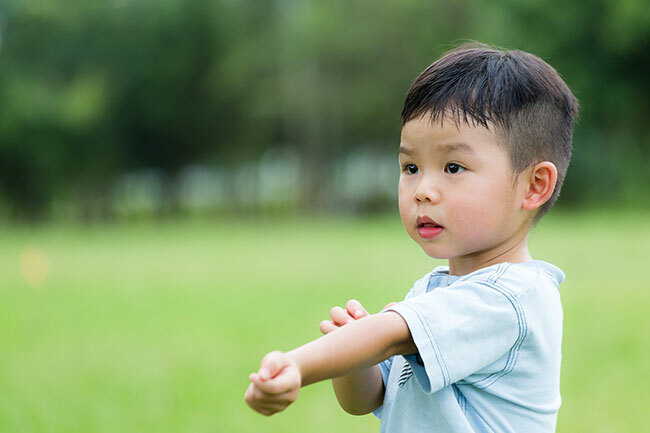 Rashes, which are also called “dermatitis,” are common for both children and adults. They can have many causes and appear on the skin in a variety of ways. Treatment for a rash often depends on the source of the rash. Let’s take a look at some common types of rash — and what they look like. Contrary to its name, ringworm isn’t caused by a worm. It’s caused by a fungus that feeds off the body’s dead skin, hair and nail tissue. Ringworm often begins as a red, scaly patch or bump, then transforms into the tell-tale red ring. This ring often itches and has blistery or raised edges. This type of rash can be passed from person to person with skin contact, and it’s treated with a prescription antifungal medication. In the past, chickenpox, or varicella, was a common virus affecting kids. Today, most children receive a vaccine that prevents them from acquiring the virus. For those who do end up with chickenpox, though, an itchy red rash and red spots all over the body are common. This rash usually appears first on the face, then spreads across the body. The spots change as the virus progresses — they will blister, then burst, dry and crust over. There isn’t a treatment for chickenpox, but over-the-counter pain relievers can limit fever and calamine lotion or oatmeal baths can help ease itching. This condition is a common one, especially during the hot summer heat. Heat rash looks like small reddish pimples, usually appearing on the upper extremities. Along with the visible rash, those experiencing heat rash also feel itchiness and sometimes “prickly” pain. Heat rash can largely be avoided by dressing in lightweight cotton clothing during hot and humid weather. If your child develops heat rash, head indoors, dry the skin off and avoid friction against the rash. In cases of contact dermatitis, the body reacts to allergens or irritants, including certain foods, hygiene products, detergents, or plants. Poison ivy, sumac or oak are common cases of contact dermatitis. A rash typically starts to appear within two days after contact with the item. In mild cases, only a small amount of redness or rash will appear, but in more severe cases, there may also be swelling or blistering. A rash caused by contact dermatitis typically goes away within a couple weeks, but symptoms can be relieved using over-the-counter hydrocortisone. Eczema is very common among kids who also have allergies and/or asthma. The term actually encompasses several types of skin reactions. The cause of eczema is unknown, but both genetic and environmental factors likely contribute. Most reactions include dry, itchy skin and rashes on areas of the body, including the face, the inside of the elbows, behind the knees, and on the hands and feet. Treatment varies depending on the severity of the eczema, but may include oral and topical medications, light therapy, and recommendations for skin care. This condition appears as itchy, burning welts on the skin. Many things can cause hives, including certain medications, foods, exposure to heat or cold, and even medical conditions. Hives may show up on any area of the body. If your child develops hives along with breathing difficulty or facial swelling, seek medical attention. In mild cases, hives can usually be treated using over-the-counter antihistamines or prescription medications. Does your child have a rash that you think needs medical attention? 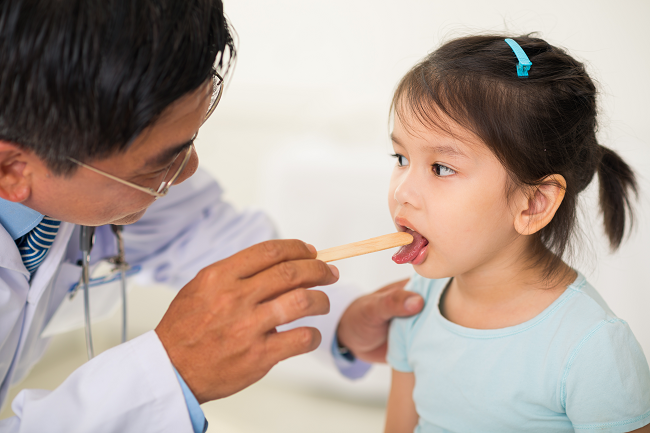 Find a pediatrician here. Night terrors: Just another type of nightmare?